The CEC's greatest asset is our teachers and our staff. They create safe and nurturing environments for hundreds of children everyday as well as provide a valuable support system for families. You, too, can become a part of something great. If you are pursuing a career in child development, share your passion with us! We are seeking part- and full-time teachers working with infant, toddler, preschool, and school-age children. Administrative positions will be advertised when available. 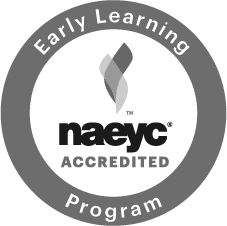 The CEC is a licensed, NAEYC accredited, nonprofit, employer-related caring educational community, providing programs for children from infancy through 12 years. Teacher Assistant: High school degree or equivalent, 18 years of age, with 6 units of Early Childhood Education (ECE) preferred, and a desire to be in the Early Childhood Education field. Associate Teacher: Minimum of 12 Early Childhood Education (ECE) units and 1 year of experience in Early Childhood Education field. Lead Teacher: Minimum of 24 ECE units, B.A. in Child Development or Human Development preferred, and experience in a center based program.